Global spending on advertising increased 3.1% in Q1 of 2012, as the Middle East, Africa, and Latin America lead the growth. The world saw a $128 billion increase on ad spending in the first quarter of 2012, continuing the growth the sector had seen late 2011. Multinational Research Company Nielsen released a report dealing with the money going into the advertising sector in Q1/2012, with the Middle East and Africa up 23.3%. 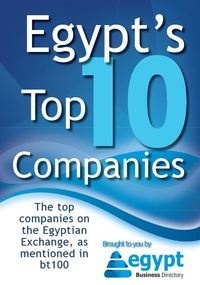 Egypt played a significant role in that fiscal jump, as Egyptian companies and organizations pumped 67.1% more money into advertising than last year. Television advertising grew 33.8% in the Middle East and North Africa, while internet advertising witnessed a 35.2% rise in the region. Radio also had its share this year, as companies spent 21.1% more on audio advertising than last year, and outdoor advertising jumped 45.3%. Pan-Arab media increased its ad spending by 43.6%, whereas Lebanon and Kuwait actually decreased the amount of money they spent in that sector. Europe did not join the craze, as its overall ad spending actually decreased by 1.4%, mainly due to the economic crises of Greece and Spain. Yet, France, Germany and Switzerland did spend some more dollars on advertising, compared to last year.